Women face unique challenges in daily life. Health is no exception. With their complex, interlocking systems for ovulation, reproduction, and hormone regulation, plus doctors’ unfortunate tendency to assume female hysteria and hypochondria, too many women don’t get the medical attention they need. This book can help women feel better about their health and their lives. 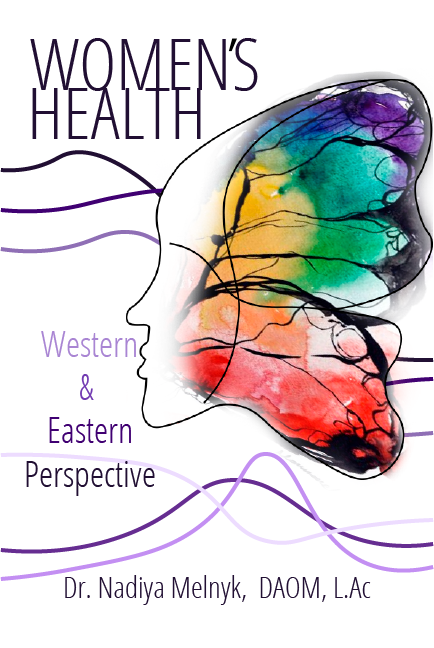 Western and Traditional Chinese Medicine (TCM) both have something to offer; Dr. Melnyk’s Women’s Health: Western and Eastern Perspective is the first book that guides women to appropriate western and TCM responses to various ailments. It zeroes in especially on those issues specific to women, like hormones, infertility, menstrual problems, menopause, and sexual symptoms. Dr. Melnyk helps women rebalance their hormonal health through nutritional, herbal medicine, exercise, and other remedies. Readers will find charts, diagrams, pictures, and plenty of vivid stories from patients who reached an impasse with the western medical system and found relief through TCM. It teaches how women can take charge of their hormones, instead of the other way around. The book is an excellent resource for patients, practitioners, educators, and TCM enthusiasts.